For me, the Alps have always been synonymous with winter sports. I used to visit Chamonix in my early teens on skiing trips with my family, so I associate the area with snowy slopes and powdery pistes. Turns out that when the snow melts, there are a wealth of other activities on offer in the French Alps. A few weeks ago, I visited Sallanches in the Mont Blanc valley with Decathlon. We were there to explore the outdoors and try out some kit from their mountain sports brand Quechua. Local mountain guide Thibaut had planned a 7km circular route for us, starting at Plateau D’Assy. The trail begins by snaking through a dense pine forest, which provides plenty of shade despite the scorching heat. We passed by gushing waterfalls and streams where we refilled our bottles with cool, fresh mountain water. After about a mile the trails open out onto meadows full of colourful wildflowers where cattle used to graze. The trails were very well maintained and signposted, but having an experienced guide really made the experience come alive. Thibaut was full of interesting information about the history of the area and the formation of the mountain ranges. We stopped frequently to admire the views around us- the skyline was made up of jutting peaks with the snow-capped Mont Blanc as the centrepiece. The Alps were unrecognisable from the winter wonderland I’d visited 20 years ago- everything was green, lush and vibrant. After stopping for lunch at 1690m, we started the descent. The terrain became more challenging with loose rocks underfoot, but our Quechua MH500 Hiking Shoes provided plenty of grip and support. The boots were incredibly comfortable even when worn straight out of the box on a 4-hour hike. Fantastic quality at a great price point as I’ve come to expect from Decathlon. I’d spotted Lac de Passy close to our hotel and convinced everyone to join me for a swim after our hike. The kilometre-long lake is situated in a leisure park which offers camping, mini-golf, windsurfing, and go-karting. There’s also small sandy beach area to relax and take in the panoramic views of the mountain range. The crystal clear waters glistened in the sun as I waded in from the sandy beach. I swam the length of the lake, watching marvelling in the views around me as I took each breath. It was one of the most heavenly swim spots I’ve experienced, I really didn’t want to leave! We also visited Combloux Ecologic Mountain Lake, which was designed for swimming in pure, chemical-free water. It’s fed by streams from the mountains and heated by the sun. Unfortunately we didn’t get to swim here, but we did witness the most amazing sunset reflecting off of the water. If you’re in the French Alps with plans to get active, you’ll need to kit yourself out with right equipment. Decathlon’s Mountain Store is the hub for outdoor sports enthusiasts- there’s everything you need from tents to trail shoes. I picked up the Quechua MH500 Mountain Hiking Shorts– they’re stretchy, comfortable and breathable. The store also houses the local tourism information centre, a restaurant, cafe and ski pass collection point. Surrounding the shop floor is the global design centre for Quechua, Wed’ze and Simond- products are developed from concept to prototype with the ability to gain instant feedback from customers. The building really is an impressive space- designed with the environment in mind it’s sits in the natural folds of the terrain so as to not spoil the view of the mountains. The store is powered by solar panels and rainwater is collected for use in the toilets and washing machines. Our trip to the French Alps was over too quickly. 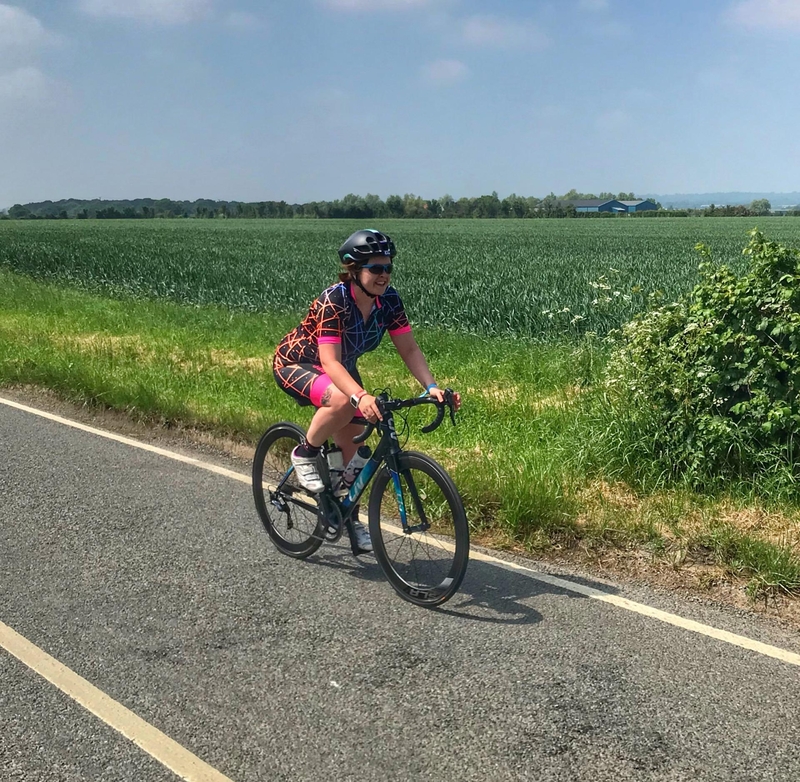 There are so many ways to get active in this region- I’m keen to come back and try cycling, trail running, paddle boarding, kayaking and of course, skiing! Have you ever visited the French Alps? The alps look amazing!! Decathlon products never seem to fail me! Love this! It was such a joy to explore with you and fall in love with the Alps! Lac de Passy looks stunning! I can almost taste the fresh air. I really need some new walking boots so will keep these in mind!